One simple, thought-provoking statement in this short video challenges the status quo and gets us thinking about conservation farming practices. As your family gathers together this holiday season, think about the stories you are sharing with each other and the gifts that don’t come in packages. Does your granddaughter understand how important preventing soil erosion is? Does your grandson understand why there are green cover crops all over the farm? Do your children know that rotational grazing and prairie strips are two ways that you are leaving the land healthier and the water cleaner for them? Do they know that conservation is something you value? If they farm just like you, will they be doing everything they can to protect the land and water resources for generations to come? expressing what we hope for the future. Your children, grandchildren, nieces, nephews are listening and watching. What are you teaching them through your words and your deeds? Wishing you and your family a wonderful holiday season and a new year filled with peace, good will and good stories! Another month has passed by, and with it another month of exciting adventures for me with Water Rocks! Assemblies, classroom visits, and lots of fun all along the way. But on top of these, there is one other thing that I have been working on throughout the past month: our new-old video series, Water Rocks! Man. New-old. What do I mean by that? Water Rocks! Man originally aired on the Water Rocks! Facebook page in the spring and summer of 2016. Some were short music videos, and others were quick messages about conservation, with our superhero, Water Rocks! Man, featured in each video. Then, like all great superheroes, he retired from a life of heroism, and the series was retired with him. Fast forward to the present day. Water Rocks! Man (Todd Stevens) has finally come back from retirement, and is ready to teach students about conservation once more. But now, Doctor Pollution (Nate Stevenson) has risen to try and spread pollution wherever he goes, and Water Rocks! Man, along with Agent Ag (Megan Koppenhafer), must stop him while educating about conservation practices. Throughout the process of filming Water Rocks! Man, although the weather has occasionally not been kind to us (superhero and agent clothing is not warm! ), everyone has enjoyed themselves and I’m excited to share the first few episodes soon. The project has certainly kept me busy, as I write, direct, film, and edit every episode. I really enjoy working on videos, especially editing, so it’s been a blast! Keep an eye out for new Water Rocks! Man episodes throughout the next few months. I, along with the rest of the cast, hope you enjoy them! 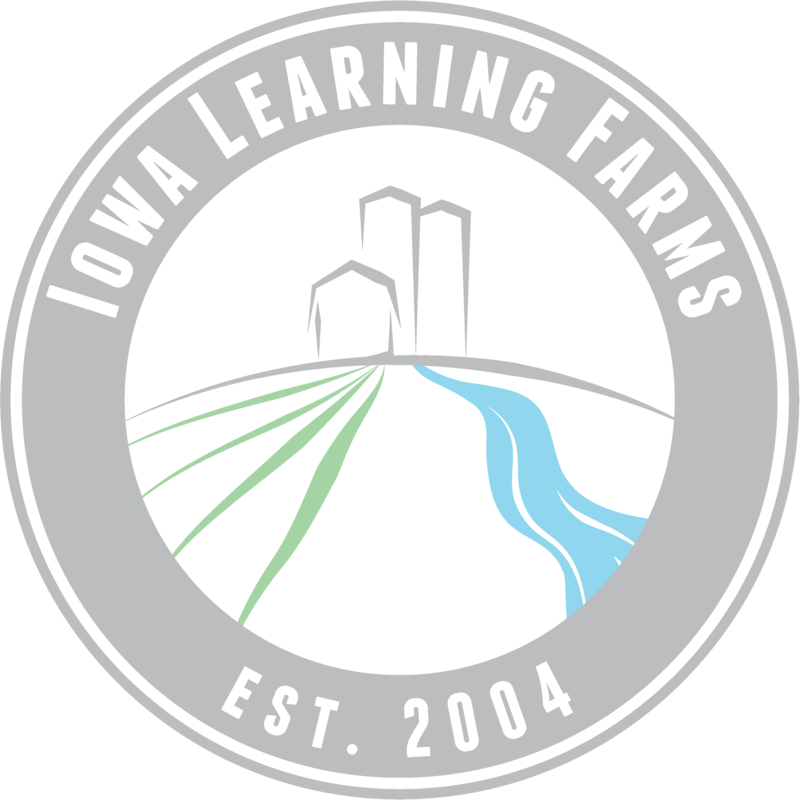 To wrap up American Wetlands Month, we’d like to showcase some of the outstanding educational tools that the Iowa Learning Farms and Water Rocks! teams have developed to help teach about wetlands and the importance of these amazing ecosystems on our landscape! Much of our wetlands outreach with youth is done in the classroom. During a 40-45 minute classroom period, students get to explore the fascinating world of wetlands and the importance of these vibrant ecosystems and the biodiversity they support. We start out by going on an (audio) field trip, exploring the sounds of wetlands. Students close their eyes and are serenaded by leopard frogs, ducks, geese, and other bird sounds. NO, it’s not the jungle or Amazon rainforest … we’ve traveled to the Wonderful World of Wetlands! Next students learn several of the different names by which wetlands are called. Some names are more familiar than others – swamp and marsh are very well known, while prairie pothole and fen are new to many students! Slough (slew) is another fun one – weird spelling, but fun to say. We can’t forget mire and quagmire, as well. After engaging in an exchange like this, the students get to play Habitat Hopscotch. Students are invited to “summon their inner birds” and migrate from Canada to Mexico, with each hopscotch square representing wetlands in different states along the Mississippi River Flyway. Each round of Habitat Hopscotch gets more challenging as wetlands (hopscotch squares) are removed due to different environmental scenarios such as draining for agricultural use, building a new shopping mall, climate change, etc. After the game’s completion, we lead a follow-up discussion with students to talk about what the loss of wetlands means to migrating birds based on their experience. Students then get introduced to many of the other creatures that call wetlands home in a competitive game of Wetlands BINGO. The hands-on approach and game show theme fosters a high level of engagement and curiosity throughout! For elementary and middle school students, check out our super silly, super fun music video Wetlands Have Real Important Jobs to Do! The Conservation Dogs are all about wetlands, too! Check out Episode 4 and Episode 10 in the Adventures of the Conservation Pack series, where wetlands take center stage. For middle school and high school students, our new music video All About That Bog is a big hit! Our award-winning film Incredible Wetlands helps students and adults explore the biologically productive, and diverse, nature of wetlands and the vital role they play to life on Earth. Also check out the Wetlands Implementation 4-page fact sheet in our “It Begins With You” series. Thanks for joining us on this journey through American Wetlands Month! Wetlands are unique transition zones between land and water, and are some of the most productive ecosystems in the world. The three most important functions of prairie wetlands are waterfowl habitat, nutrient removal and flood control, as Jackie referenced in her blog post last week (A Wetlands Walk with Charlie). First things first, let’s talk about habitat. Wetlands here in Iowa provide habitat to an abundance of creatures, including mammals, insects, reptiles, and amphibians, as well as countless microorganisms unseen by the bare eye. However, some of the most beautiful (and iconic) creatures found in wetlands are the migratory birds! Did you know? 46% of threatened and endangered species in the US depend on wetlands for their survival. The epic migratory journey that these birds make twice each year is aided by flyways — routes that have historically provided migrating birds with food and water along the way, as well as suitable habitat and resting places. Each season, more than 100 million North American birds use a flyway to migrate – that’s 50% of all migratory birds. The importance of Iowa’s wetlands cannot be overstated, as our state straddles two of the major North American migratory bird flyways: the Mississippi River Flyway and the Central Plains Flyway. Much like gas stations, restaurants, and hotels that we utilize when traveling on the highway, wetlands are a one-stop-shop for migratory birds traveling along the flyways. Wetlands provide critical resting stops – an opportunity to refuel, rest and recharge – as well as feeding and nesting grounds. Last school year, we were visiting the 4th and 5th grade classes at Madison Elementary in Cedar Rapids, and describing the importance of wetlands along with the highway/flyway comparison. One student raised his hand, brimming with much enthusiasm, and proclaimed, “Hey! It’s like that song ‘Life is a Flyway’ (referencing ‘Life is a Highway’).” We were not about to let such a great idea pass us by, and so right then and there the video concept was born. In celebration of International Migratory Bird Day (Saturday, May 14) as well as American Wetlands Month, here’s a sneak preview of our newest Water Rocks! music video titled Life is a Flyway, slated for full release this fall!